For the entirety of my adult life, cycling (and mountain biking in particular) has been at the center of my world. Yes, I did all that “grown-up stuff”, but I never let it get in the way of my love for the bike. I had to go to work, but I biked there, and then I’d get off work and ride some more. I got married but chose a husband that wanted to mountain bike on our honeymoon. And then, once I did the most grown-up thing of all and became a mom, I bought my son a balance bike as soon as he could walk. But despite this effort to center my life around biking, I still never had enough time to ride as much as I wanted to. This was especially true as my carefree 20s gave way to my lots-of-responsibility 30s. On Saturday’s, I would squeeze in a quick ride before taking the kiddo to another birthday party. Tuesday and Thursday evenings, I could get in an after-dinner spin or trainer ride. (Monday and Wednesday belonged to the hubs). And despite these best efforts, there were plenty of weeks that went by where I never got on my bicycle at all. Thus, it came to be that one Wednesday night after a long hellish day of adulting, I decided I should quit my job and mountain bike more. And not just me–I wanted my husband to quit his job also. I started tagging him in every destination mountain bike article that got posted to Facebook. I followed all the #vanlife and #fulltimefamily accounts on Instagram and started drawing his attention to those too. And, because he likes biking as much as I do, it didn’t take that much convincing to get him to buy into my plan. And what was that plan? To quit our jobs, rent out our house, and move our 5-year-old into a 22-foot travel trailer. For a year. With the intention of hitting up as many mountain bike destinations in North America as possible. Pisgah, check. Kingdom Trails, check. Copper Harbor, Whistler, Raystown Lake, check, check, check. Before you get too critical, let me point out that we didn’t do any of this on a whim. It took 18 months from the time we solidified our plan until we backed the RV out of our driveway. We had a decade’s worth of savings in the bank, and I had worked until the wee hours of the morning to build several secondary income sources. I don’t think we were being reckless, but it was still scary AF. Fast forward in time: we survived the whole year on the road, and it was the best 12 months of my life. Every day, I got to sleep in, drink coffee in new beautiful places, explore National Parks and beaches and deserts with my family. And every day (or nearly every day) I got to mountain bike. Now we’re back home living a more conventional life, but I’ve still chosen to live an unconventional lifestyle by not going back to work. Yes, I “work” but I do it on my terms–after I’ve dropped off the kid at school and after I’ve gotten in a ride. We don’t have as much money as we would if I’d continued on the corporate track, but I’m a heck of a lot happier. In fact, quitting my job to travel the country and mountain bike was the best thing that I’ve ever done. The lessons I’ve learned since then have been priceless; in fact, you can put them to work too–job or no job. A good friend once told me that “your passion is your purpose.” In other words, the things that bring you joy and excitement are the things that you are meant to spend your life doing. Instead of making me feel good about mountain biking, it made me feel guilty. My sister’s passion is teaching math to inner-city kids. How could my life purpose be mountain biking?!? But I’ve learned that I don’t have to feel bad about loving to mountain bike. 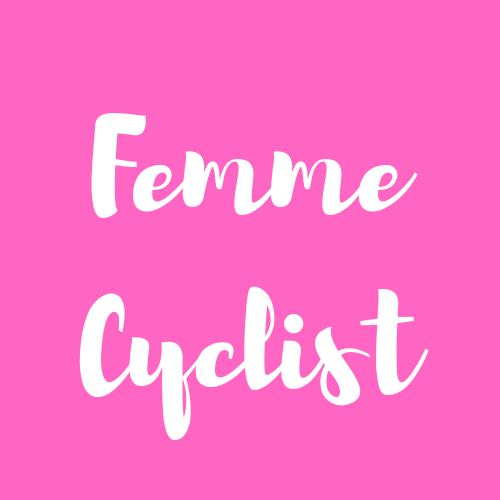 My passion for cycling has led me to help others enter the sport via the websites and communities that I’ve started. 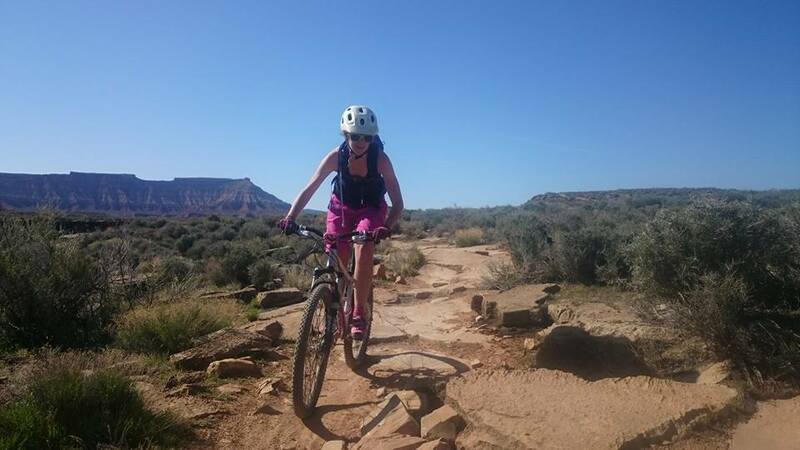 Mountain biking makes me feel alive, energetic, and present–things that make me a better mom, wife, and friend. If you want to figure out a way to mountain bike more, stop making excuses and make it happen. You might not be able to quit your job and mountain bike for a year. But you probably can get up an hour earlier, hire a house cleaner, or leave work on time. All those places you’ve read about in the mountain bike magazines? They’re awesome. But you know what? 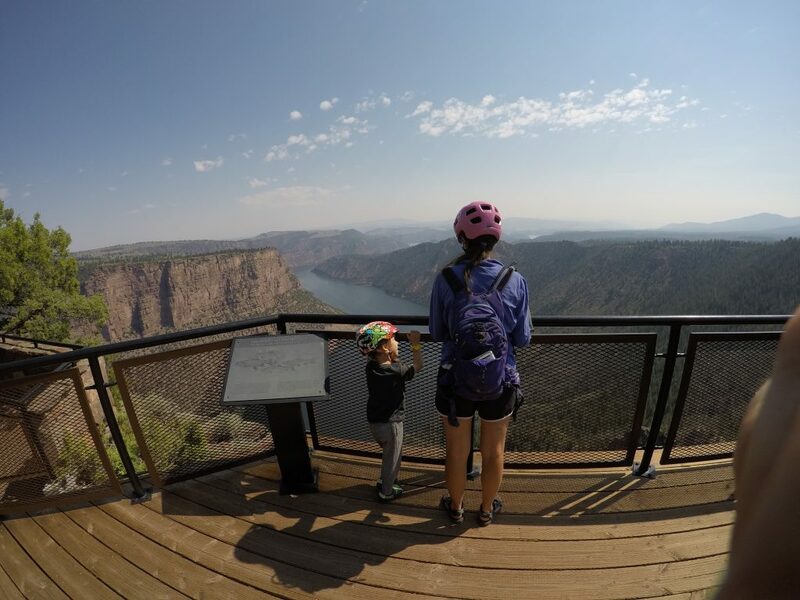 For every Porcupine Rim, there is an equally great trail you’ve never heard of. In fact, some of my favorite rides of our entire year-long trip were the ones I wasn’t planning on at all. And for all of you sitting at home, don’t spend all your time wishing you were somewhere else. The trails out your back door might be just as good as those “famous” trails–and a lot less crowded. 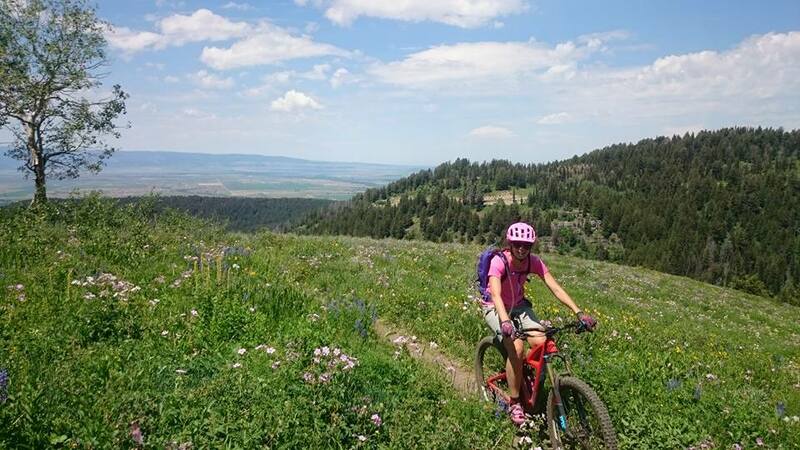 While you might not find better trails on the other side of the country, you can be sure that riding new trails will make you a better rider. Over 12 months of traveling, my riding skills improved dramatically and not just because I was riding more. New trails mean all kinds of new challenges–loose rock, slick rock, roots, jumps. And instead of sessioning the same trails over and over, I was always riding new trails which honed my line-picking and decision-making skills. When we first started our trip, I was always stopping on my rides to take pictures, to Facebook, and to make sure everybody knew what awesome things I was up to. And yes, I am glad I have pictures to remember all the amazing places we went now that I’m back home. But the more I ride, the more I just want to be present in the moment. For me, riding isn’t about impressing anybody or impressing myself, its about experiencing the world around me in that moment. There’s no way to share that or replicate it once the ride is over. The only thing you can do is saddle up and go for another–over and over again. Yeah, yeah, yeah, I hear you thinking. We’ve all heard it a million times. And each of us, intuitively, knows this deep down inside. But the truth is, actually living out this wisdom is hard to do. We’re all conditioned to want the newer, nicer bike. The bigger, fancier house. The faster, shinier car. Or even, just the big savings account that keeps us feeling safe. But as someone who’s jumped off the edge, I’ve lived to tell about it. You CAN quit your job and survive on less money. I’m not suggesting not working, but you can probably figure something out that provides more flexibility, or more passion for less money. 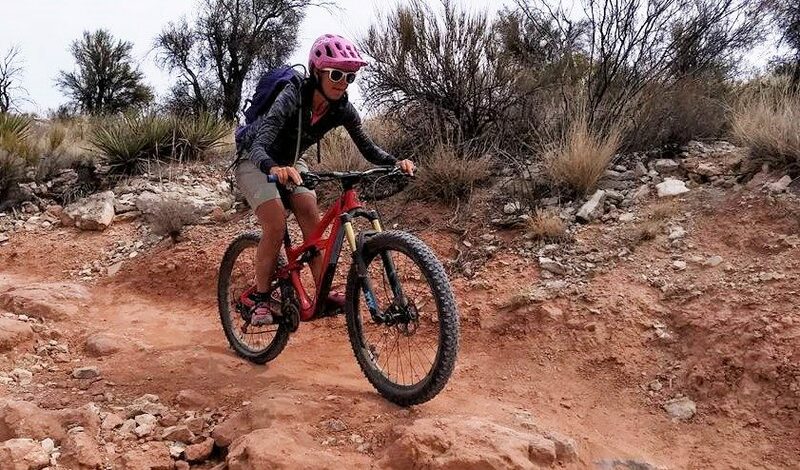 If mountain biking is what makes your heart sing, that creates joy and passion and vibrancy in your life, then do whatever it takes to make more room for mountain biking. I give you permission: quit your job and mountain bike more. Thanks for the share and interesting read. Would love to do something similar, but need to earn a living. 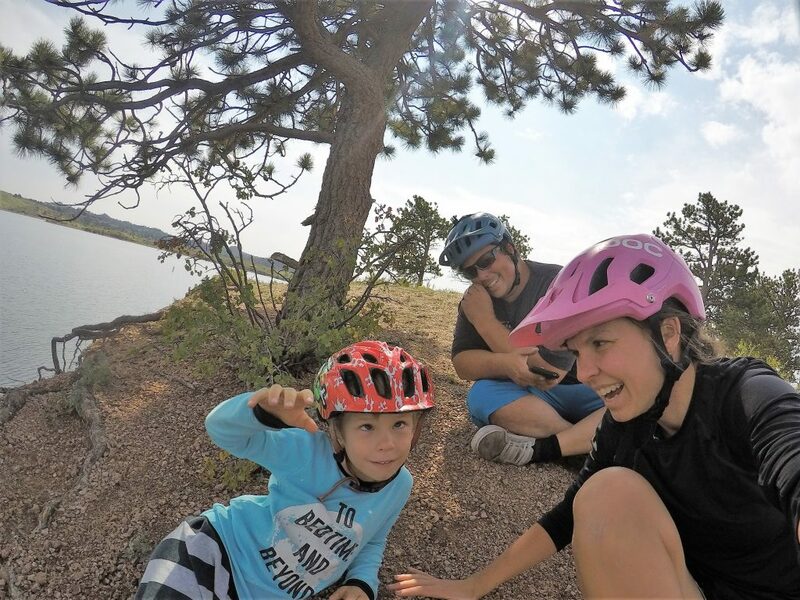 I have followed Kristen’s year long family mountain biking adventure with a mix of jealousy and inspiration! Having recently quit my corporate job to concentrate on encouraging more kids to cycle you’ve been a real guiding light. Can’t wait to see what comes next! Thanks for the kind words Karen! I was super excited when I heard you had quit your job to pursue CycleSprog full time. So awesome! Glad you guys could make this work! I’m waiting for all our snow to melt so I can get on the bike again! Me too! I’ve been doing a bunch of fat biking, but it’s not quite the same. Looking forward to dry dirt season!